Exposed brick walls are common in urban lofts. During renovation, many homeowners choose to remove old lath and plaster to reveal the brick as an aesthetic accent. The antiqued look of brick can be very appealing, but if it's falling apart, a brick wall can be a bit too antiqued. If you have an interior brick wall that is cracked, flaking, dusty or showing broken bricks, you need to repair it to an aesthetic standard that is higher than exterior brick. Clean out any cracks in the bricks and mortar with a small vacuum or by blowing into the cracks with pressurized air. 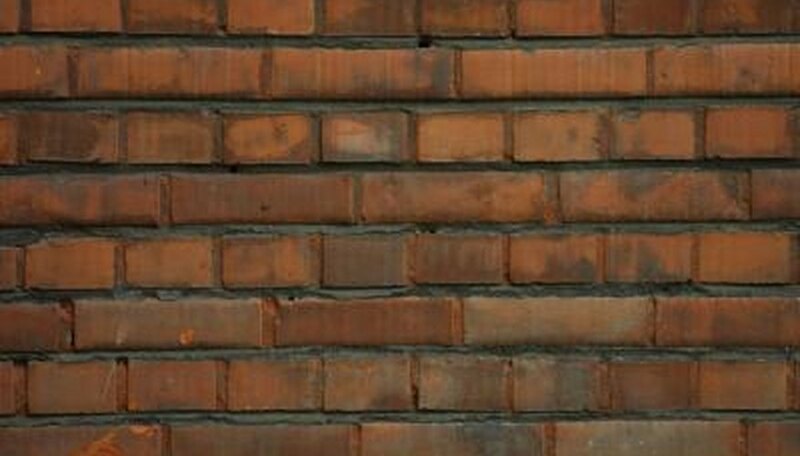 Match any mortar that is repairing the face of a brick by mixing it with brick dust to create red mortar or by painting it to match the face of the brick after it has cured. Wet the brick thoroughly with a spray bottle filled with water and leave it for several hours. Fill the cracks by pressing mortar into them as deeply as you can with a trowel. The wet brick slows down the curing of the mortar, making it stronger. Replace flaking or broken mortar between bricks by clearing out old mortar with a wire brush and putty knife, then repointing with fresh mortar. Repointing is the process of refilling damaged mortar joints with new mortar. Add a recessed profile to the new mortar with a jointer, a rounded metal hand tool that you can pull along the surface of the mortar to leave a rounded surface. Replace broken bricks that have pieces missing by chipping out the mortar around them, cleaning out the hole and replacing them. Ideally, locate bricks from the same era that are the same style, color and size as the older bricks. Replacing an old, weathered brick with a brand new brick will create a patch that doesn't look right. Reduce problems with flaking bricks and mortar dust by applying a clear finish to the surface of the wall. Test any finish on a brick wall in an inconspicuous place first to be sure you like the resulting color and sheen. If you need matching bricks for replacements, keep your eyes open for old houses that are being renovated and ask if they have any old bricks. Wear safety goggles if you are striking bricks with a hammer; brick ships can fly around at high speeds and could damage your eyes.